The Works Progress Administration was an American New Deal agency, employing millions of people to carry out public works projects, including the construction of public buildings and roads. It was established on May 6, 1935, by Executive Order 7034. In a much smaller project, Federal Project Number One, the WPA employed musicians, artists, writers, actors and directors in large arts, drama, media, and literacy projects. The four projects dedicated to these were: the Federal Writers’ Project (FWP), the Historical Records Survey (HRS), the Federal Theatre Project (FTP), the Federal Music Project (FMP), and the Federal Art Project (FAP). In the Historical Records Survey, for instance, many former slaves in the South were interviewed; these documents are of great importance for American history. Theater and music groups toured throughout America, and gave more than 225,000 performances. Archaeological investigations under the WPA were influential in the rediscovery of pre-Columbian Native American cultures, and the development of professional archaeology in the US. Art Deco, sometimes referred to as Deco, is a style of visual arts, architecture and design that first appeared in France just before World War I. 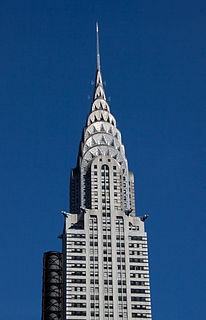 Art Deco influenced the design of buildings, furniture, jewelry, fashion, cars, movie theatres, trains, ocean liners, and everyday objects such as radios and vacuum cleaners. It took its name, short for Arts Décoratifs, from the Exposition internationale des arts décoratifs et industriels modernes held in Paris in 1925. It combined modern styles with fine craftsmanship and rich materials. During its heyday, Art Deco represented luxury, glamour, exuberance, and faith in social and technological progress. Eastern Air Lines, also colloquially known as Eastern, was a major American airline from 1926 to 1991. Before its dissolution it was headquartered at Miami International Airport in an unincorporated area of Miami-Dade County, Florida. The Curtiss-Wright Corporation is an American-based, global diversified product manufacturer and service provider for the commercial, industrial, defense, and energy markets. Created in 1929 from the consolidation of Curtiss, Wright, and various supplier companies, by the end of World War II it was the largest aircraft manufacturer in the United States, supplying whole aircraft in large numbers to the U.S. Armed Forces. It has since evolved away from final assembly of finished aircraft, becoming a component manufacturer specializing in actuators, aircraft controls, valves, and surface treatment services. It also is a supplier to commercial nuclear power, nuclear navy systems, industrial vehicles and to the oil and gas industries. Timothy John Russert was an American television journalist and lawyer who appeared for more than 16 years as the longest-serving moderator of NBC's Meet the Press. He was a senior vice president at NBC News, Washington bureau chief and also hosted an eponymous CNBC/MSNBC weekend interview program. He was a frequent correspondent and guest on NBC's The Today Show and Hardball. Russert covered several presidential elections, and he presented the NBC News/Wall Street Journal survey on the NBC Nightly News during the 2008 U.S. presidential election. Time magazine included Russert in its list of the 100 most influential people in the world in 2008. Russert was posthumously revealed as a 30-year source for syndicated columnist Robert Novak. 14/32 7,161 feet (2,183 m) 150 feet (46 m) Cat. I (32  only) Runway 14 approach does not have ILS, nor ALS. The proximity of Buffalo Niagara International Airport to the 9.2 million  residents of Ontario's Golden Horseshoe region makes it a very popular airport for Canadians traveling to U.S. destinations. In fact, about one of every three passengers utilizing the airport are from Canada (particularly the Greater Toronto Area). In 2012, 47 percent of all passengers were from Canada. Airfares from Canadian airports to American destinations are generally higher due to added customs and immigration surcharges for international flights, the value difference of Canadian and US currency, and other taxes and fees. There are many shuttles from the airport to cities in Southern Ontario, and to Toronto Pearson International Airport. February 12, 2009 – Colgan Air Flight 3407, a Bombardier Dash 8 Q400 operating under contract with Continental Connection crashed into a home on Long Street in Clarence Center, New York. The flight from Newark Liberty International Airport was only approximately 6 mi (9.7 km) away from the airport when it crashed. All 49 passengers and crew members on board the aircraft perished in the incident, along with one individual on the ground. Two others who were in the home at the time of the accident escaped alive. Minutes before the accident, the crew had reported "significant ice buildup" on the wings and the windshield and an NTSB official said that the aircraft had experienced "severe pitch-and-roll excursions" 40 seconds prior to the crash. This was the first fatal accident of an airliner on US soil in almost 3 years after the crash of Comair Flight 5191. The crash was attributed to an aerodynamic stall caused by the crew's failure to monitor their airspeed. Henry E. Rohlsen Airport is a public airport located six miles (10 km) southwest of Christiansted on the island of St. Croix in the United States Virgin Islands. The airport is named after Henry E. Rohlsen, a St. Croix native who was one of the Tuskegee Airmen during World War II. 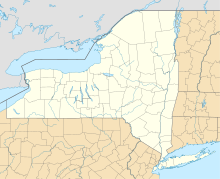 Albany International Airport is seven miles (11 km) northwest of Albany, in Albany County, New York, United States. It is owned by the Albany County Airport Authority. ALB covers 1,000 acres (400 ha) of land. Rafael Hernández Airport is a joint civil-military airport located in Aguadilla, Puerto Rico. It is named after the Puerto Rican composer Rafael Hernández Marín. It is Puerto Rico's second largest international airport in terms of passenger movement. It is located in Porta del Sol tourist region, in Puerto Rico's west coast. It is also home to Coast Guard Air Station Borinquen and to the Caribbean Branch of the U.S. Customs and Border Protection Air and Marine Operations. Rafael Hernández Airport mainly serves Puerto Rican westerners living in the Eastern Region of the United States. O'Hare International Airport, typically referred to as O'Hare Airport, Chicago O'Hare, or simply O'Hare, is an international airport located on the far Northwest Side of Chicago, Illinois, 14 miles (23 km) northwest of the Loop business district, operated by the Chicago Department of Aviation and covering 7,627 acres (3,087 ha). O'Hare has non-stop flights to 228 destinations in North America, South America, Europe, Africa, Asia and Oceania. 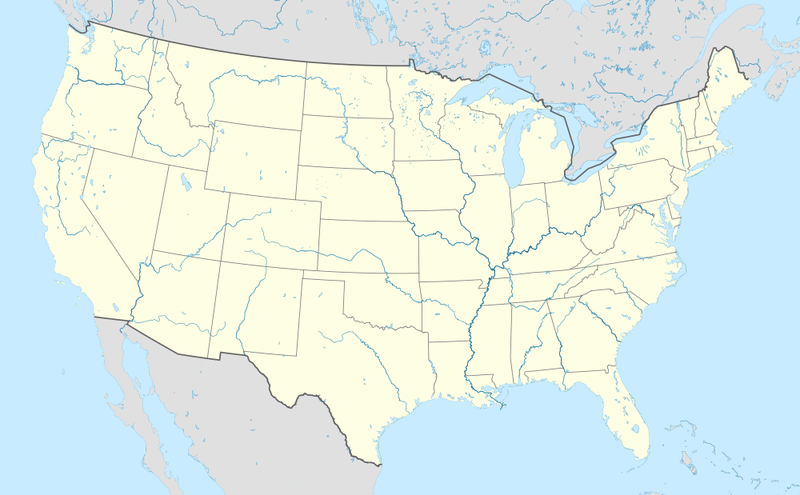 San Francisco International Airport is an international airport 13 miles (21 km) south of downtown San Francisco, California, United States, near Millbrae and San Bruno in unincorporated San Mateo County. It has flights to points throughout North America and is a major gateway to Europe and Asia. Orlando Sanford International Airport is in Sanford, Florida, near Orlando. It was built as Naval Air Station Sanford, a Master Jet Base for carrier-based attack and reconnaissance aircraft until 1969. The airport is owned and operated by the Sanford Airport Authority. Key West International Airport is an international airport located in the City of Key West in Monroe County, Florida and two miles east of the main commercial center of Key West. Detroit Metropolitan Wayne County Airport, usually called Detroit Metro Airport, Metro Airport, or just DTW, is a major international airport in the United States covering 4,850 acres (1,960 ha) in Romulus, Michigan, a suburb of Detroit. It is Michigan's busiest airport, and one of the largest airline hubs in the country. 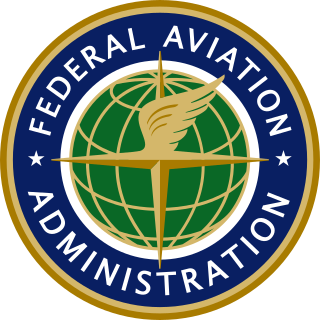 The Federal Aviation Administration (FAA) National Plan of Integrated Airport Systems for 2017–2021 categorized it as a large hub primary commercial service facility. Akron–Canton Airport is a commercial airport in the city of Green, in southern Summit County, Ohio, about 14 miles (23 km) southeast of Akron and 10 miles (16 km) northwest of Canton. It is jointly operated by Summit County and Stark County. The airport is a "reliever" airport for Northeast Ohio and markets itself as "A better way to go", emphasizing the ease of travel in comparison to Cleveland Hopkins International Airport. Over 75% of its traffic is general aviation. Newport News/Williamsburg International Airport is an airport located in Newport News, Virginia, and serves the Hampton Roads metropolitan area along with Norfolk International Airport in Norfolk. The airport is owned and operated by the Peninsula Airport Commission, which is a political subdivision of the Commonwealth of Virginia. PHF covers 1,800 acres of land. Jackson Hole Airport is a United States public airport located seven miles (11 km) north of Jackson, in Teton County, Wyoming. In 2015, it was the busiest airport in Wyoming by passenger traffic with 313,151 passengers. During peak seasons, Jackson Hole has nonstop airline service from 13 destinations throughout the United States including New York–JFK, Chicago–O'Hare, and Los Angeles International Airport. During shoulder seasons, airline service is limited to the hubs of Salt Lake City, Denver and Dallas/Fort Worth. The airport is served year-round by American Eagle, Delta Connection and United Express, and seasonally by mainline American Airlines, Delta Air Lines, Frontier Airlines and United Airlines. Niagara Falls International Airport is 4 mi (6.4 km) east of downtown Niagara Falls, in Niagara County, New York. Owned and operated by the Niagara Frontier Transportation Authority, the airport is a joint civil-military airfield and shares its runways with the Niagara Falls Air Reserve Station. A new terminal building opened in 2009. Best Airlines was a small airline that flew to a miscellaneous and changing group of cities in the Mid-Atlantic United States in the mid-1980s. Their headquarters was in the Covington, Kentucky area which is near the Cincinnati-Northern Kentucky International Airport. The May 15, 1983 timetable indicates headquarters in Florence, KY and the January 7, 1985 timetable indicates headquarters in Ft. Mitchell, KY. According to the Official Airline Guide (OAG), the two letter airline code for Best was "IW". Portland International Jetport is a public airport two miles (3 km) west of downtown Portland, in Cumberland County, Maine. It is owned and operated by the city of Portland. A portion of the Jetport's property, including the main runway, is in the neighboring city of South Portland. PWM covers 726 acres of land. ↑ "Cheektowaga CDP, New York Archived June 2, 2009, at the Wayback Machine ." U.S. Census Bureau . Retrieved on May 25, 2009. ↑ FAA Airport Master Record for BUF ( Form 5010 PDF ), effective March 29, 2018. ↑ "Buffalo Niagara International Airport Interim Report No. 1 – 1999" (PDF). January 13, 1999. ↑ "It's official: Road near stadium becomes Tim Russert Highway : The Buffalo News". 1 2 "2013 Sustainable Master Plan | Buffalo Niagara International Airport" . Retrieved April 8, 2017. ↑ McCarthy, Robert J. (8 December 2018). "Buffalo Niagara International Airport's $80 million upgrade ready to take off". The Buffalo News. Retrieved 11 December 2018. ↑ "Buffalo Niagara International Airport | AirNav" . Retrieved May 10, 2016. ↑ "Terms of agreement - stuntoffer.com". Archived from the original on July 8, 2011. ↑ Herr, Jim (2017-08-23). "State-of-the-art station for Buffalo airport firefighters". Cheektowaga Chronicle. Retrieved 2019-02-23. ↑ "Prior Aviation Service". Archived from the original on September 23, 2013. Retrieved February 21, 2013. ↑ "BNIA passenger count tops 5M". Buffalo Business First. ↑ "Frontier Airlines launching service from Buffalo". WKBW. 2017-07-18. Retrieved 2019-02-23. ↑ "Hamilton Breaking News – Hamilton's Online Newspaper". TheSpec.com. ↑ "jetBlue first flight from BUF to LAX takes off". ↑ "Buffalo Niagara International Airport". ↑ "Southwest Airlines Adds New Nonstop Flights To Route Map". Southwest Airlines Newsroom. Retrieved 2019-03-15. 1 2 3 4 5 6 7 8 9 10 11 12 13 14 15 16 17 18 19 "RITA – BTS – Transtats". ↑ "Buffalo International Airport Ground Transportation". Archived from the original on March 7, 2013. Retrieved February 21, 2013. ↑ "Federal Investigators Arrive to Probe Crash". ↑ BETSY'S PLANE CRASH A CLOSE CALL, FEDS SAY, NY Daily News, March 6, 1998. Retrieved July 25, 2017. ↑ Matthew L. Wald and Al Baker (February 14, 2009). "Crew Reported 'Significant Ice Buildup' Before Crash". The New York Times . Retrieved February 13, 2009. ↑ "Skywest plane makes emergency landing in Buffalo after passenger loses consciousness". April 22, 2015. ↑ ABC News. "Plane Goes Off Runway at Buffalo Niagara International Airport; No Injuries Reported". ABC News. ↑ Eileen Buckley (February 13, 2019). "No one hurt when plane slides into a passenger jet bridge". WBFO . Retrieved February 13, 2019. Wikimedia Commons has media related to Buffalo Niagara International Airport .